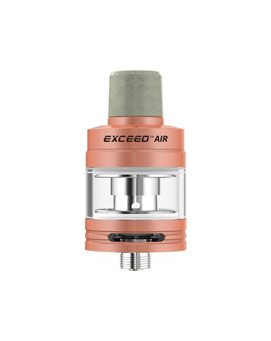 The Joyetech Exceed Air tank brings a sliding refill mechanism to the popular Exceed range. 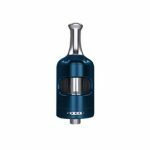 The tank is available in 4 colours with complementing coloured honeycomb design resin mouthpieces. 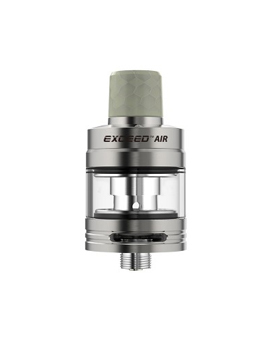 Using the popular EX atomizers it is capable of either MTL and DL vaping straight from the box. Suitable for all vapers, with particular emphasis on regular vapers and those looking for just a little bit more. The Joyetech Exceed Air tank supports both MTL and DL styles of vaping with variable airflow and two very distinct atomizer head designs. The tank is easily refilled thanks to the sliding refill mechanism. The distinctive colours are a perfect match with the Espion Solo, giving a great alternative for those that find the Procore Air a bit too much in some circumstances. Supports both MTL and DL vaping styles through a variable airflow ring. Proven atomizer technology improved with the first sliding refill mechanism of the Exceed family. Available in 4 distinctive colours. 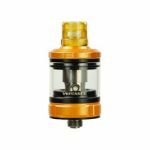 Atomizer can be changed without emptying the tank.